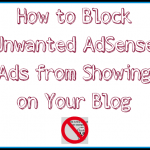 Let’s check out some advanced Google Adsense tips. Digging deeper into Google’s Adsense, there are a few more things you can do to make sure you are getting the most out of Adsense. 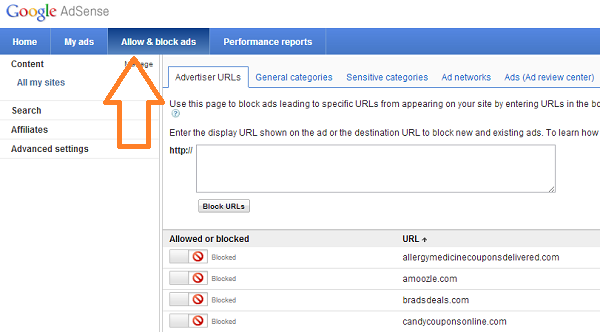 You have the ability to block any URLs for any reason. I would suggest blocking any URLs that you are promoting in other ways. 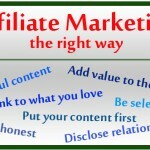 For example, if you have an affiliate relationship with Target, you may not want to have Target displayed in your Adsense ads. 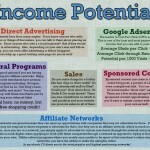 Since you only get paid per click, you could be losing sales, and perhaps income. You can also block URLs that are offensive, political, competing with your business, or, as I mentioned earlier, for any reason you want. Just keep in mind that you don’t want to block a ton or URLs for no reason. If Google can’t find an applicable ad to show, nothing shows up, thus eliminating your chance at revenue for that pageview. Here, you can see that we have blocked some competing URLs for our coupon site. 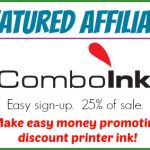 You can also customize the appearance of your ads to better match your website’s color scheme. You can customize different colors for the border, background, text, title and URL. While we recommend that you try and blend the ad with your site’s color, you can choose to do the opposite and make your ad stand out as much as possible. 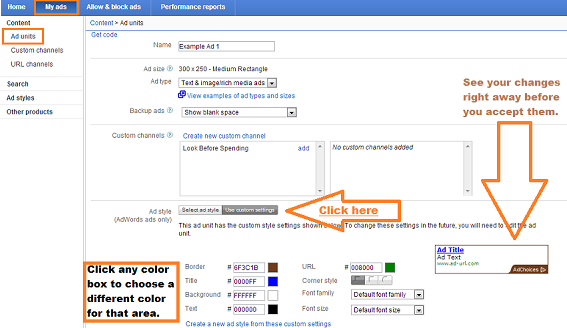 See the graphic below to learn how to change the color scheme of your ads. A well customized color scheme can be the difference between looking “spammy” and looking natural. Keep track of your performance reports. 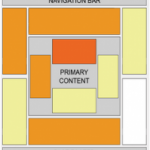 Know which ads perform the best for your site and determine which, if any, need to be moved or removed. See more about Adsense reporting in this post: Google Adsense Reports 101. I had a site hacked once, and it was due to a WebHost who had weak security systems. There are many things you can do, but checking with your webhost to see what they recommend is best. I am also a fan of WordFence security plugin as well as Limited Login Attempts.